Denim is always in and the immortal jeans keep on skyrocketing on trending lists every year. Any wardrobe should have a timeless, flattering pair that can always be worn and never goes out of style. Whether it’s a pair of skinny high-waist jeans or a cropped knees model, they can go with different styles and make up a crucial part of your everyday image. Make sure you choose the most comfortable ones and try out some of these stylish models. Similar to the ones worn in the 90’s, today’s stove piped jeans can be worn in stylish punk-rock combinations, but to work on casual Fridays as well. When buying stove piped jeans, think about proportion first. You can choose from a variety of low- or high-waisted, flared or straight. 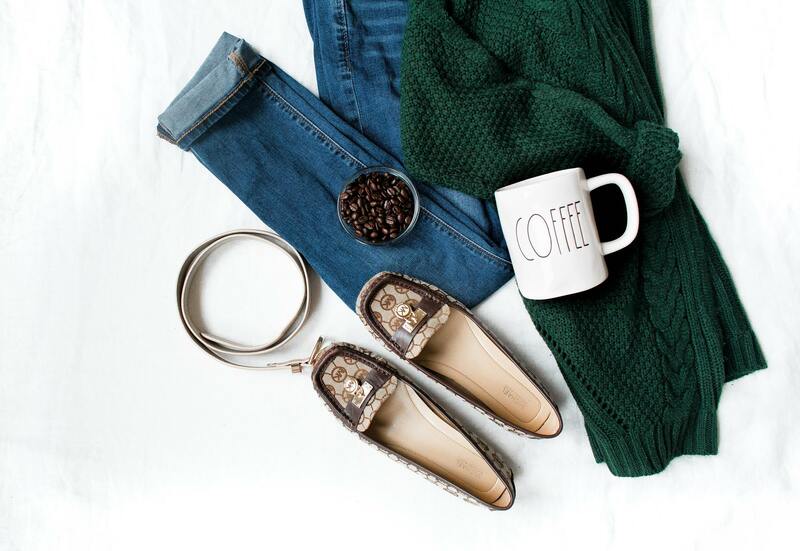 These jeans go well with comfy, warm sweaters of all colors and sizes. They can cover your ankles or you can fold them at the ends. They can be worn with both high heels and sneakers. If you are a fan of Kate Moss or Jane Birkin style, a pair of stove piped jeans is just perfect for you. Kick flare jeans, also known by the name cropped flares, have quickly succeeded in hitting the top of the trend lists. They are supposed to fit just above the ankles, so make sure you find an adequate size. They go well with high heels or Oxford shoes. High waisted kick flares go perfectly with both casual or formal tops, as well as tucked-in light, colorful shirts. When in doubt, always turn to bold biker jeans. They are as slim as can get, but are uniquely fashionable, which requires a courageous combination. If you are in need of a self-esteem boost, wear your favorite pair or buy a new one. You cannot go unnoticed with a pair that fits you well. They go with both business and casual looks, but add a bit of fierceness in each case. If you are a fan of cuffed jeans but get tired of searching for the right model to cuff, there are models with built-in cuffs which are becoming more and more popular. Made from light denim mostly, they are a perfect piece of clothing for a walk during hot summer nights or a long shopping day. They look well with regular with T-shirts, bright colorful tops and various shirt models, as well. The best choice to let your legs feels the breeze is wearing super cut jeans. This kind of jeans might look a bit trashy on the first hand, but the more you combine them with different shirts and jewelry, you will see that they can look very stylish. Super cuts are perfect to wear with sneakers to get that nonchalant casual look but can be worn with business shoes and plain white shirts for a more formal look. You can combine them with your favorite pumps and top with adding a colorful pair of earrings to get a stunning night out combination. A different approach to an all-skinny wardrobe is the wide-leg models, which are mostly high-waisted. Combining these with short tops or sweaters makes your legs look both longer and skinnier. Models with wide legs can have a 70’s, 80’ or even 90’s vibe. While they were less popular in the 2000’s they are now coming back in full strength as an answer to the skinny modeling industry. They go well with Vans sneakers and Oxford shoes, as well. Remember that buying the perfect pair of jeans is a difficult task and might take a lot of your shopping day. With a variety of models to choose from, be sure that you will find the model that is just right for you. Don’t give up on searching for them because that one pair that goes with everything is the best addition to your wardrobe during this one or any other season.